Mr Deshmuk Kowlessur is the executive director of the CCM. He holds a DEUG from the University of la Réunion and a Masters Grande-École from the École Supérieure de Commerce (ESC) de Rouen, France. 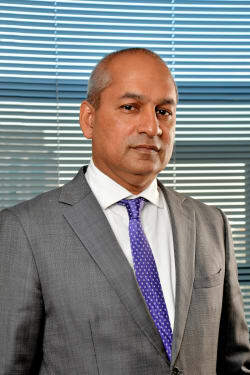 Before joining the CCM, Mr Deshmuk Kowlessur was the chief operating officer of Elytis (DistriPC Ltd), a member of Leal Group and which is the distributor of major leading technology brands in the Indian Ocean. Prior to that, he occupied senior positions such as business analyst at KPMG, and planning and development manager in Rogers Group, among others.